As of April-2018, Google trends and Gartner has identified CyberArk as Leader in the industry. CyberArk is a set including many account and security management resolutions all created to assure the safety of our devices, passwords, accounts, and more. One of those explications is Privileged Password Management and Control, developed to support firms, meet powerful IT and compliance standards with a keen focus on privileged password management. 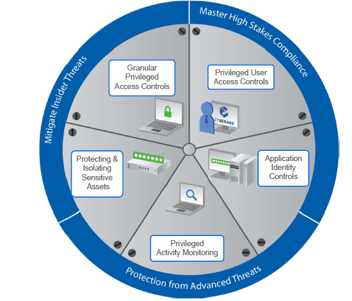 With CyberArk Privileged Password Management and Control, companies and corporations can adhere to inspect the agreement standards and policies, which permit them to instantly recognize the hazards that Advanced Persistent Threats (APT) involve. Powerful privileged password management controls are formulated and performed, improving the way business and organizations secure, control and observe privileged accounts. The (PAS) Solution produces a protected environment within an enterprise, where the total administrative passwords can be securely stored, shifted, and shared by empowered users (such as staff, IT8, Local administrators, and on-call administrators in isolated locations). Every segment of the PAS Solution determines the various requirements of privileged account security. Enterprise Password Vault (EPV): CyberArk EPV, is a component of the CyberArk Privileged Account Security Solution, is used on all CyberArk Solutions. It has been planned to secure, discover, control, rotate and retrieve to privileged account passwords applied for accessing systems everywhere in the organization. The EPV is used on a dedicated standalone server operating a fixed version of Microsoft Windows Server. This guarantees the most hidden and secure storage for EPV contents. A Crash Recovery instance of the EPV is also be used to duplicate EPV data and quickly detects the fail-over, if the EPV production instances stop processing requests. The Digital Vault guards privileged credentials depends on the privileged account security policy, or Master Policy™, and controls. The EPV is designed to detect the variations constantly to the IT environment with its Discovery Engine. 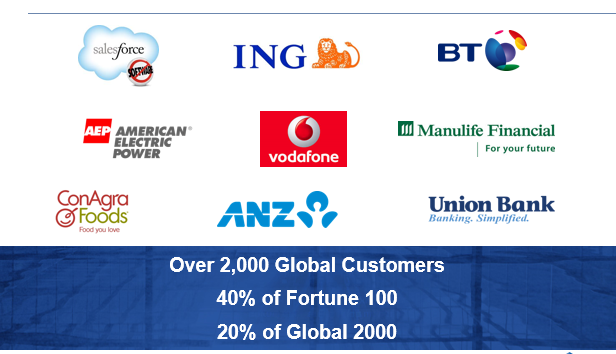 The EPV is accessed and managed through the various Client interfaces. Privileged Session Manager (PSM): The PSM empowers an organization to control, monitor, and secure privileged path to a network device. The PSM acts as a gateway to expedite the communication within the isolated devices. The PSM regulates the user access to privileged accounts and automatically opens privileged sessions to third-party devices across a different type of association protocols such as RDP12. The PSM divides the end-users from targets, allowing connections to privileged devices without disclosing the passwords to the end-user. The PSM will register the liveliness in a privileged session and can gives a playback of each recorded one to authorized audiences. Recorded sessions are securely deposited and preserved in the EPV. The PSM is combined seamlessly and transparently into subsisting enterprise infrastructures. Central Policy Manager (CPM): The CPM automatically strengthens enterprise security policy by modifying the passwords in default on isolated machines and saving the new passwords in EPV, all without human involvement. Passwords are generated and observed by CPM according to Master Policy designed by the enterprise. Administrators will be reported via (PVWA) Password Vault Web Access Interface, when the passwords will expire, are already expired, or doesn’t fulfil the Master Policy criteria. Administrators also performs the one-time password policy, which users requires a password each time in place with the existing password. Application Identity Manager (AIM): The Application Identity Manager is a Linux and Windows based application that expedites access to privileged passwords and totally rejects the need to hard-code passwords in scripts, configuration files, and applications. AIM passwords are logged, stored securely. 2) SDK, which provides a set of (Application Programming Interface) APIs for .NET, Java, CLI15, C/C++, and COM14. The On-Demand Privileges Manager empowers organizations to control, monitor, secure, and access to privileged LINUX/UNIX commands. Users can make super-user tasks with their own individual account. Assures the security of your networks, accounts, passwords, and devices. Automates all methods in the privileged lifecycle administration and speeds up all workflows. Guarantees the accountability by eliminating the cloak of anonymity that includes the practice of shared privileged accounts. The flexibility makes it simple to implement an enterprise security policy.